The telephone...has there ever been an invention that went from such a necessity to such an annoyance so fast? I'm not exaggerating when I say that 9 out of 10 calls we receive on our house phone is from someone trying to sell me something I don't want or actually a criminal trying to steal my money. We don't even answer it anymore, so if you call make sure you aren't offended by having to leave a message. It's just too frustrating anymore. With that, here is our week's top five list of songs devoted to Alexander Graham Bell's invention that worked its way under our skin. 5. 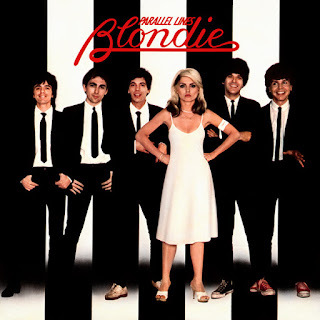 "Hanging on the Telephone" - Blondie. The bands hard rocking hit from their Parallel Lines album hits it hard. The lyrics mean something else altogether but I can see it being me getting so upset with the idiots that call nowadays. Listening to this, I'll get Frank Infante's great driving guitar solo stuck in my head for a week. 4. "Telephone Line" - Electric Light Orchestra. A lot of songs about the phone are more longing love songs...trying to connect with a lost love, rekindling a friendship or romance. Jeff Lynde treats us to one with this pretty ELO track. 3. "Call Me" - Blondie. Debbie Harry had a thing for phones, I guess. Here's another...the theme song for the film 'American Gigolo'...this one more along the lines of another telephone love song. But after the movie, more like a paid love song. Still a great song. 2. "Jenny" - Tommy Tutone. This song is so ingrained into our minds that a phone number had to be universally retired because of it. What a miserable existence it must of been to have the number 867-5309 when this song about harassing a girl who's number was scrawled on the men's room wall came out. 1. "Operator" - Jim Croce. What a sad day it was when we lost one of our great balladeers when Jim Croce's plane went down. Another song about lost love and trying to reconnect over the phone line. Like the music? Come by The Musick Channel Garage Sale and pick up some classic vinyl albums, along to other merchandise.